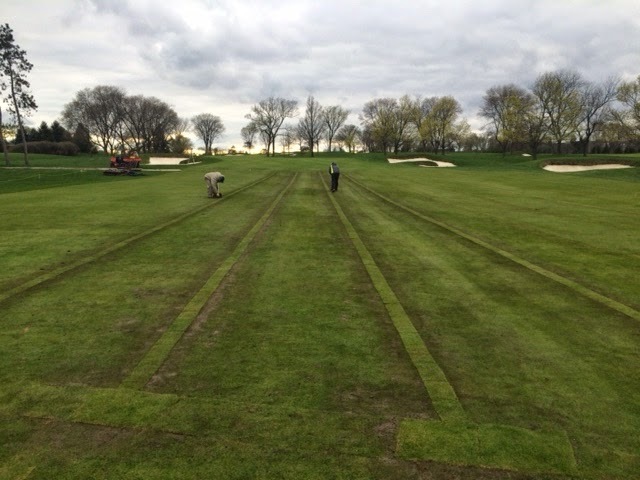 Keith Kirsch and crew are now underway again at Butler National GC in North Brook, IL. 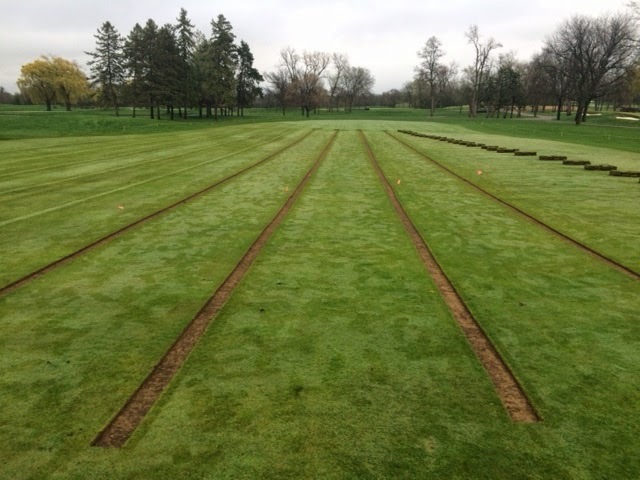 Since we began 4 years ago with our initial fairway drainage “test hole” here, we have been back every year to aid in providing optimum playing conditions to the members. 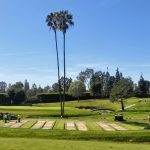 Butler is a typical example of how we begin a long term relationship with most of our clients, that being completing an initial fairway or landing area, and then it keeps building momentum as clients find other areas that were of less concern initially for us to tackle. 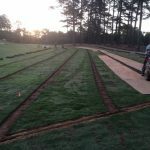 As usual, whether on a fairway or a green, once we finish an area and hand off to the club, they just have to complete a roll and a mow and open for play.